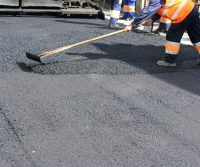 Archive by Category "Commercial Paving"
Your parking area, like your building, needs careful design and construction for years of reliable service. Pavement takes a beating from the sun’s rays, winter ice, and gully-washing spring rains. Over the years, pavement handles the flow of traffic and the constantly changing patterns of parked vehicles. It takes a solid foundation to handle all that wear and tear on the pavement surface. An investment in top-quality paving provides that foundation. When your customers and clients arrive at your business, the first thing they experience is the quality of your parking area. It should not only look great, but also feel solid and prevent pools of water or patches of ice from forming. As they walk to your door, they’re forming a first impression about whether you’re proud of your business. As industry reference Asphalt Magazine notes, it’s what’s under the pavement that makes it last and stay impressive. A well-prepared subgrade provides a solid support for the paving material. Layers of aggregate and careful compaction keep the pavement area stable for years to come and limit the amount of maintenance required. Drainage provides durability by reducing the effects of weather on the parking area. For a careful design to be effective, it prevents not only pooling water and patches of ice on the surface, but long-term saturation of the subgrade which can undo the careful preparation of the layers below the pavement. One of the advantages of being in business for over 30 years is the repeat business. After all, a quality commercial paving job can last 20 years. So, except for maintenance, we won’t be out to a specific lot or driveway very often. Customers who know that paving is a long-term investment put the time in to find the right contractor and make sure the work is done right. For an experienced commercial paving company in MD which creates durable, impressive projects for its customers, contact A&M Asphalt Paving. Do You or Your Business Need Paving Contractors in Baltimore MD? Stop Looking with A&M Paving! A&M asphalt paving contractors in Baltimore MD are the paving professionals who are ready to help you with any asphalt job. We have been providing quality paving services to Baltimore for over 30 years. We are also committed to serving our community and take pride in our work. So, no matter the size of your project, we will get the job done. No matter your goal, we have the experience and tools necessary to get it done. Why Do You Need Paving Contractors in Baltimore MD? Parking lots and driveways face a lot of wear and tear. So, paving with asphalt is an affordable and durable solution. 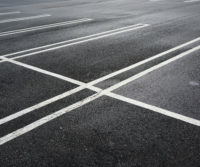 Asphalt has great flexibility because it can fill the imperfections and remain smooth for a longer period of time. Over time asphalt will need to get repaired. Paving contractors in Baltimore MD can easily repair and replace your asphalt parking lot or driveway. A variety of conditions can cause damage to your asphalt. Sealcoating can provide a protective barrier against weather, chemicals and general wear and tear. The paving contractors in Baltimore MD can sealcoat your asphalt surfaces. This is the best way to protect your driveway or lot from potential damage. If you have cracks, A&M paving can assess your pavement and help you repair it fast. Our paving contractors in Baltimore MD provide a variety of services for asphalt parking lots and driveways. We offer driveway patching, construction, resurfacing and sealcoating. If you’re seeking a quality professional paving contractor in Baltimore MD, choose A&M to service your commercial property. A&M is the best choice for experienced paving contractors in the Baltimore area. Contact us today for the best paving contractors in Baltimore MD. A&M Paving has been serving the Baltimore-Metro area for over 30 years. From residential to commercial, large and small, we pave it all! Based in Severn, Maryland and working all across the Baltimore metro area (Anne Arundel, Howard, and Baltimore Counties primarily), A&M Paving will come to you for all your asphalt paving needs! Whether you need patching, a new driveway construction, seal coating, or snow removal, we’ll take great care of you! Contact us for a free asphalt paving estimate. Looking for a Commercial Paving Company in MD? Choose A&M! As a business owner, we know that your products and/or services are a major part of your business. However most of your customers will first see your driveway or parking lot. So, it is important to make sure that you have a paved or seal coated surface that is both beautiful and usable. If you are searching for a commercial paving company in MD, A&M Paving is the best choice in driveways and parking lot paving. Choose us as your commercial paving company in MD. Completing parking lot paving is a big job and like many consumers you want it to be done right the first time. Choose the best commercial paving company in MD with A&M. We will create a paving design that is right for your business. We have over 30 years of experience in the industry and our top concern is your complete satisfaction. We lay out your parking lot the way you want. No matter the size of the project, our special machinery can cut, grade, level and roll out to achieve the best finished lot possible. Commercial property or business owners looking for paving repairs can put their mind at ease with A&M Asphalt Paving. 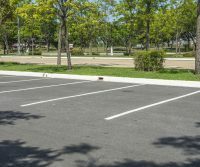 If your parking lot has any cracks, potholes, and/or water damage, we can fix the problem with our professional seal coating services. By seal coating, you will help keep your lot looking beautiful, protect it from wear and tear and prevent cracks. Overtime oil and salt from the roads can damage your paved driveways and parking lots. Through the process of seal coating, you are protecting and prolonging the value and beauty of your investment. We are considered the best commercial paving company in MD because our employees are the best in the business. Don’t waste your time looking for other commercial pavers, choose us for commercial paving in MD. Contact A&M Paving As the Best Commercial Paving Company in MD! Whether it’s seal coating, repairing, patching or a new asphalt driveway or parking lot, call the experts in commercial paving in MD. A&M Paving delivers professional, courteous, fast, and efficient paving services. Get in Touch with A&M, the best commercial paving company in MD today.